Apple’s Hello Again event saw the launch of the new MacBook Pro but it was one flagship feature that really caught the eye and delighted Apple fans – the Touch Bar. We take a look at what the Touch Bar is and share some of the cool things that you can do with it. The Touch Bar is a thin OLED display strip powered by watchOS that sits in place of the function row. It changes its display options dynamically, according to the app you are using at the time. So, for example, if you open up iTunes on your Mac, the iTunes controls will be displayed on the Touch Bar. 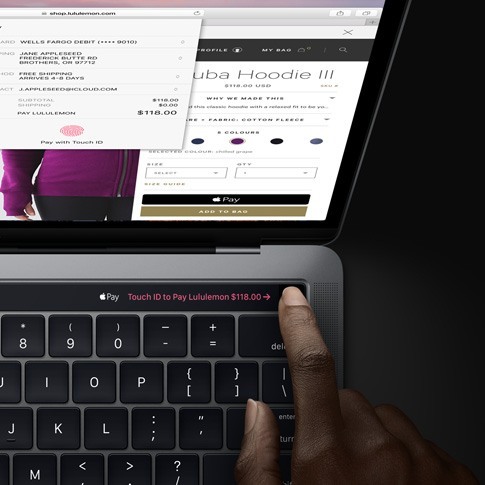 Apple has said that third-party software developers will be able to create Touch Bar controls for their software. For example, Adobe demonstrated how the Touch Bar could be used for editing images in Photoshop. Algoriddim showed how it can be used when creating a mix with its DJ software. Even Microsoft is promising Touch Bar tools for its productivity suite, Microsoft Office. 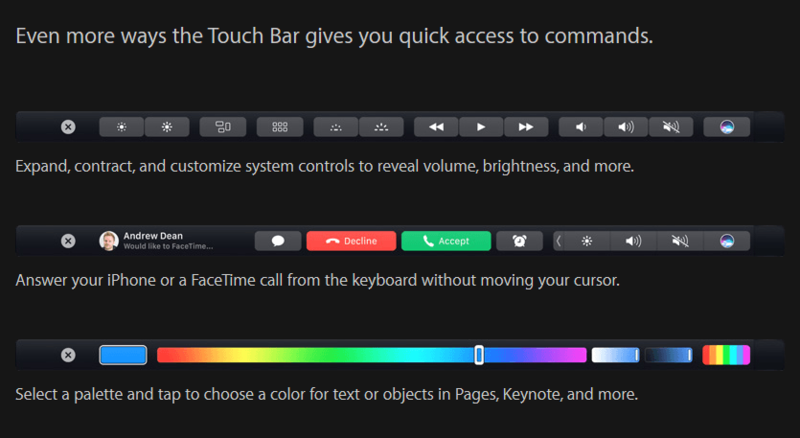 If you are receiving an incoming call on your Mac via FaceTime, the Touch Bar will automatically change its display options to allow you to accept or decline a call, or send a message, just like you could do on your iPhone or iPad. The Function keys may have been replaced by the Touch Bar, but that doesn’t mean you cannot access the function row. All you need to do is hit the Function (FN) key at the bottom all your function keys will show up at the top. There will be 2 virtual buttons now so apart from accessing the function keys, you also have access to the keys that let you adjust the brightness, the speaker volume, Launchpad and more. If you want to launch a new tab in Safari or open a website from your Favorites list, you can do it directly from the Touch Bar. Once a new tab is open, you can use it to access Search or tap to go back. If you have several tabs open, you can scroll through them directly on the bar, which will show you a tiny preview of each webpage. If you open the Maps app, the Touch Bar will throw up the option to find nearby places with one tap. A tap will let you see listings from different categories such as food, shopping, and services. If you are browsing all the photos in your Photos app, now you can scroll through them more conveniently by swiping across the Touch Bar. If you plan on editing any of the photos, you can use the options in the Touch Bar to adjust, crop, or add filters to the photos. If you are in a chat session, sending emojis is a breeze thanks to the Touch Bar. All you need to do is scroll the bar to find the one you want to use. Mail is another tool that gets plenty of Touch Bar support with the iOS’s QuickType predictive keyboard offering suggested words and emoji to allow you to compose your email messages more quickly. When composing an email, the Touch Bar offers contact suggestions when you click on the address or the CC field. While browsing your mail, you’ll also see lots of handy options to quickly compose, flag, reply to email and more. You’ll also get suggestions for moving an email to a particular folder based on your email history. This bar also offers formatting options for text in your email. You can highlight text in your email to see font, font color, and bold, italics and other formatting options. The Touch Bar can lets you scroll through your Calendar for appointments you have scheduled in upcoming weeks. Now that Siri has found a home on the Mac, you can use the Touch Bar to summon the digital assistant Siri with a tap. 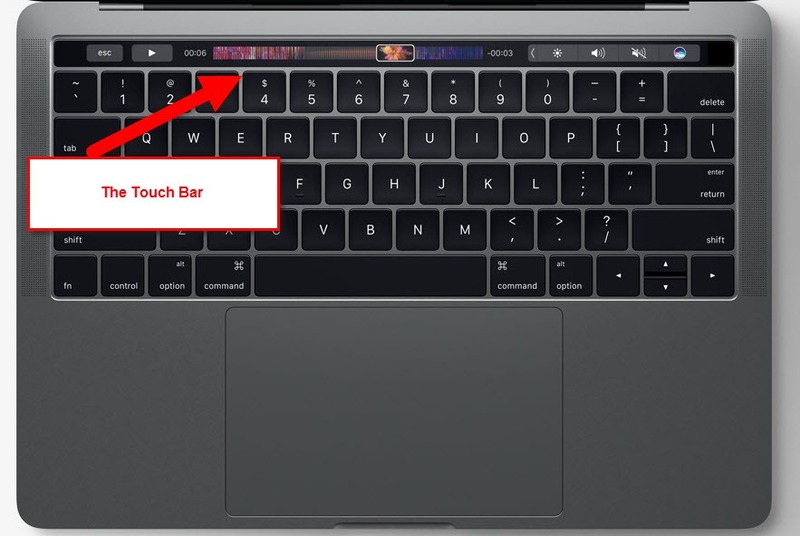 In the new Macbook pro, the Touch Bar supports the Touch ID functionality. It is integrated with the power button. If you are browsing the Internet on your Macbook Pro and find yourself in need of using your fingerprint, such as when using Apple Pay, you can place your finger on the Touch ID section of the bar to activate it. The Touch Bar can do a lot of stuff dynamically. But you can make it more useful by adding shortcut items to it. For example, you can add a shortcut for quickly composing an email message. All you need to do is simply drag your favorite shortcuts from the screen to the bottom of the MacBook Pro’s screen and thereby onto the bar. Your most used audio controls like skip, repeat, pause and volume are all in the Touch Bar. If you are watching a video on your Mac, you can use the bar to quickly move forward or backwards in the video. When you launch iTunes, a new search button on the bar will help you easily find your favorite Apple Music tracks. There are also basic playback controls like skipping a song or checking out your Up Next queue. The Touch Bar in GarageBand offers controls needed to create your music mixes such as volume adjustments. There are also controls to fine-tune the various types of instruments and effects. What do you think of the Touch Bar? Would you be willing to spend over $1000 to get your hands on the coveted Macbook Pro’s standout feature? You can learn more about this innovative feature by visiting Apple.com.